YOU GUYS!!! We have a REALLY fun announcement!!! This one has been a real dream come true. We LOVE pattern, we LOVE home decor (you should see our stash of home mags) and we LOVE partnering with genuinely nice people! So, this little collaboration is our version of a #dreamteam for sure! We are so excited to share our new line of WALLPAPER with Chasing Paper!!!! 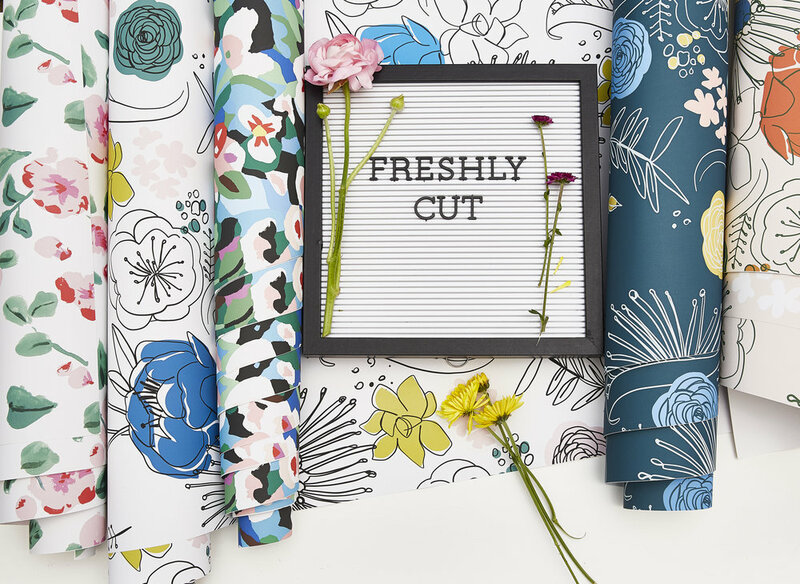 The "Freshly Cut" wallpaper collection features two different floral designs in several fun color options! These are super high-quality but also REMOVABLE wallpapers!! GIMME ALL THE FLORALS, RIGHT?! Visit chasingpaper.com to find them all! 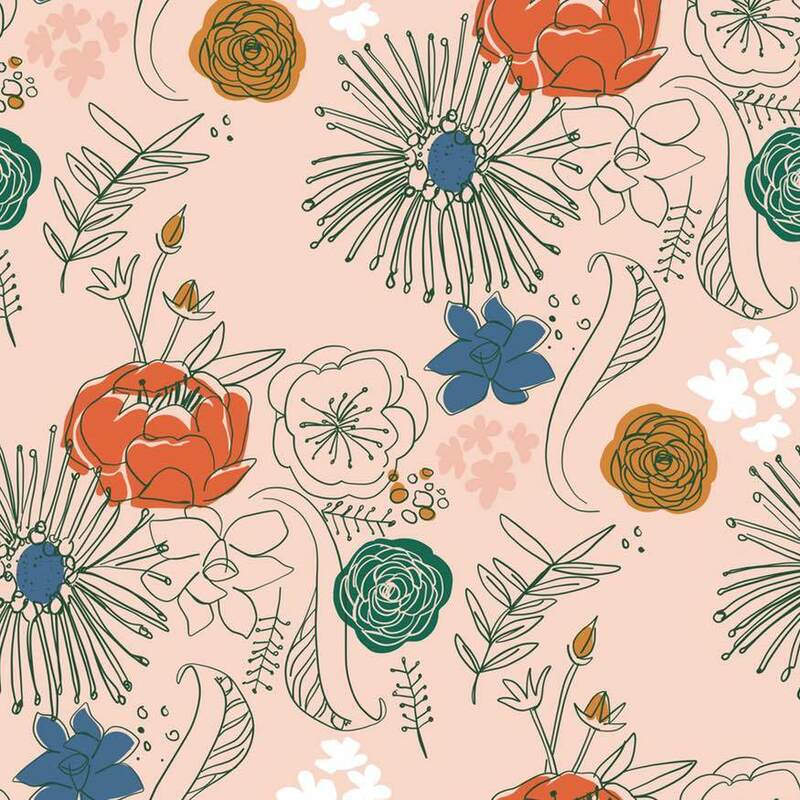 One of our florals is hand drawn with pen and ink and meticulously colored in three different color ways, the second was created in one of our other favorite mediums, cut paper and we are offering one multicolor option and three single color options...now, just hoping these floral wallpapers find a good home!! We are flattered and thrilled to be included in this collection along with some of our favorite artists and friends Danielle Kroll, Bikini Sous La Pluie and Caitlin Keegan!! Make sure to check out all of their cool designs in this collection as well!